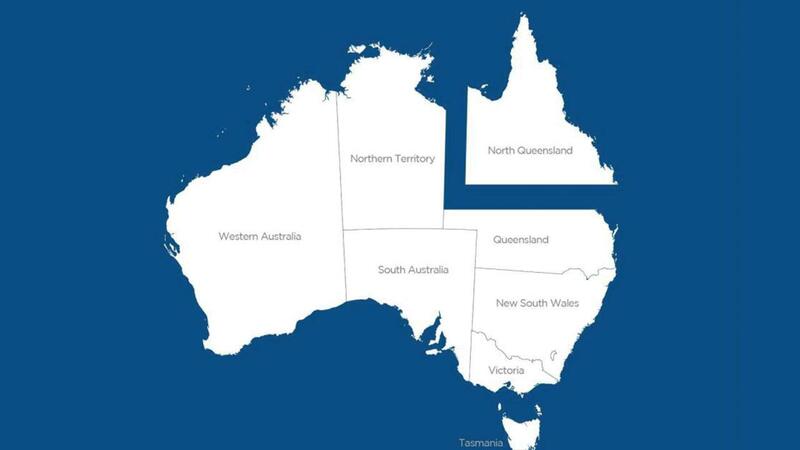 The discussion about splitting Queensland into two States has received some attention lately. Queensland State MPs Rob Katter and Shane Knuth from Katter’s Australian Party and Rob Pyne formerly from Labor are in support, along with the Federal Minister for Northern Australia Matt Canavan and Federal LNP MP George Christensen. The claim is that political power based in Brisbane focuses too much on the southern parts of the State, while the north is ignored. This conversation has actually been going on since at least 1852, when it was suggested that Queensland be split into three subdivisions. This was several years before Queensland even became their own colony. In 1899 it was decided that the Australian Constitution would allow the State of Queensland to be split into divisions in the future and that the Parliament of Queensland would determine the number of Senators of each division and this is outlined in section 7 of the Constitution. …the Parliament of the State of Queensland….may make laws dividing the State into divisions and determining the number of Senators to be chosen for each division…. The current push is not for splitting Queensland into divisions, but rather creating a new State in the north. The admission of new States is set out in chapter VI of the Constitution. A new State may be formed by separation of territory from a State, but only with the consent of the Parliament thereof…. You’ll notice the end of this section emphasises the extent of representation in either House of Parliament for the new State. This means a new State in Northern Queensland would not necessarily be granted the same number of Senators as the original States. So while the southern half of Queensland would keep the 12 Queensland Senators, the new State in the north may be given only two or so Senators. We have seen this (sort of) before in Australia. At federation in 1901, the Northern Territory (NT) was part of the State of South Australia. In 1911 the NT was separated from South Australia and handed to the Federal Government for administration. At this time it became a Territory. In 1922 the NT was given a seat in the House, however, it wasn’t until 1968 that the member was given equal voting rights in the House (although being a Territory is different to being a State). If North Queensland separated from Southern Queensland and immediately became a State they would negotiate their representation in the House and the Senate before this occurred. It should be noted that at the last push for NT Statehood in 1998, the Federal Government offered Northern Territory only three Senate seats. Many argue for and against equality in the Senate. Our federation was set up so that each of the original States had equal representation in the Senate. This meant that the smaller States were not at a disadvantage because of their smaller populations. But even at the time the Constitution was being written there was disagreement about the States with a smaller population being granted the same number of Senators as the States with larger populations. This disagreement continues. If you ever read comments below online news articles about the Senate, you’ll find people complaining that Tasmania has the same number of Senators as New South Wales. Senator Canavan recently said that the population of the northern part of Queensland is about double that of Tasmania (depending on where you draw the line). Should this potential new State have less Senators than Tasmania? Which takes us to another part of the Constitution. So, if the new State was given 12 new Senators, the number of MP’s would need to increase by about 24 in the House of Representatives. That’s a lot of new seats. After the last election in 2013 we had some electoral boundaries redrawn and it has been reported that this could change the outcome of the election in some areas. Imagine what adding an extra 24 seats would do. Alternatively, the Federal Government could reduce the number of Senators in each State to something like ten, including the new State, leaving the number of Members in the House relatively unchanged. Although it’s hard to imagine the six Senators who terms have expired at the first half-Senate election being that happy about fighting over five seats (presuming of course it’s not a double dissolution election). Many experts and commentators, over many years, have put forward ideas on how to reshape our Federation with many advocating for the removal of one level of Government. The argument is that we are over-governed. Broadly, the idea has been to remove the States and create around 24 cities and regional councils while redefining the powers of the Federal Government. There's no doubt another new state is a 19th-century response to what is a 21st-century problem but we've still got to deal with that problem and we've still got to deliver better government for the major regions of the country with more autonomy so one way or another we're going to have to go somewhere in that sort of direction and hopefully the federal reform debates at the moment will actually mature and take us that way some time within the next few years. Some of the supporters of Federation reform suggest we should also be looking at splitting up the States with larger populations like NSW and Victoria. Although, if new States are not guaranteed equal representation to the original States it might be hard to get this process started. What do you think?